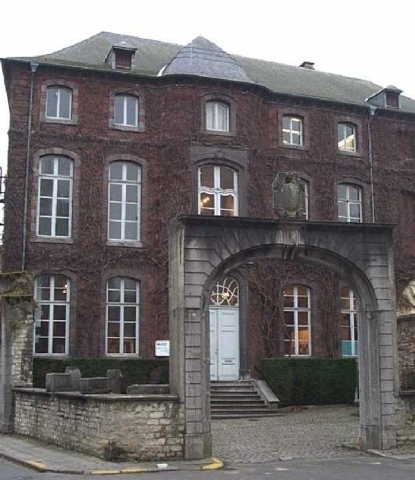 At the corner of the "Rue des Cannoniers" and the "Rue de Bruxelles" is the Museum of Archaeology, Art and History. This 18th century mansion covered with Virginia creeper contains various treasures including paintings, sculptures and furniture. The building was constructed on the site of a former church as a refuge for the order of Trinitarians of the Priory of Orival, whose mission was the liberation of Christian prisoners from the Infidels. In 1783, the refuge was suppressed on the orders of Joseph II and bought by a private individual. It then became the property of the social services, serving successively as a workshop for the poor, an inn, a pawn-brokers and an orphanage, before becoming the Museum of today. 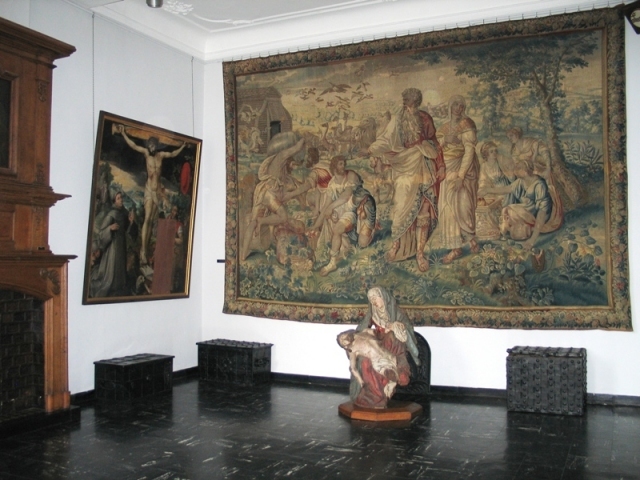 The latter was inaugurated in 1956 largely thanks to collections assembled by the Archaeological Society of Nivelles since the 19th century. Other objects have come from the Collegiate Church, the CPAS, private donations ,sale or chance find. The Museum contains superb artefacts from the late mediaeval period and the 18th century that originate from the Collegiate Church, notably 4 remarkable Gothic limestone statues of SS Paul, John, Andrew and Peter which formed part of a mediaeval rood-screen, no longer extant. These masterpieces alone make the trip worth-while. 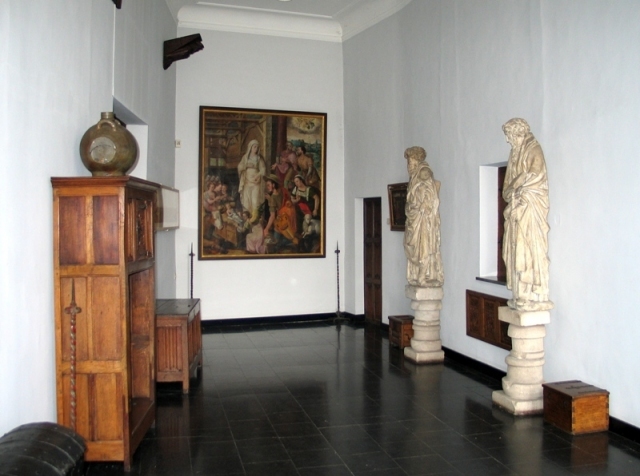 The Museum also boasts a collection of terra-cotta pieces by the 18th century sculptor to the Royal court in Brussels, Laurent Delvaux, who spent many years living and working in Nivelles. More every-day objects housed here include antique cupboards, chests, clocks ,wardrobes and musical instruments, all of which illustrate local daily life through the ages . 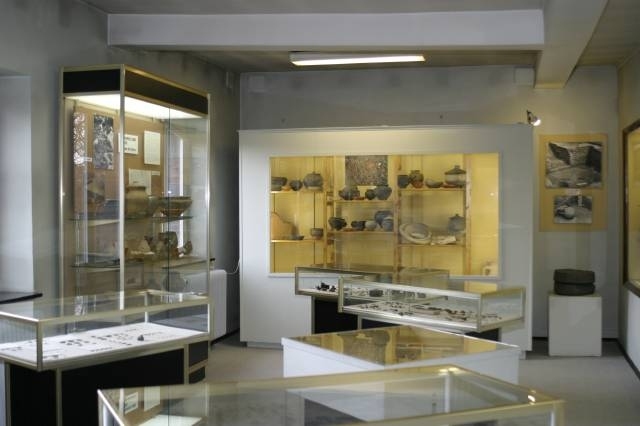 Added to this is a specialised library dealing with subjects relevant to the collections, especially local history and archaeology. Whether you are a fan of fine art, or antiques, or local history and folk-lore, something to interest you will be found in this museum, hidden in the heart of Nivelles. From Tuesday to Friday 9.30am to 12am and 14h to17h. Second and fourth Sundays of the month 9.30am to 12 noon and 14h to 17h. Closed Mondays, Saturdays and other Sundays.